Perfect for steel and foundry industries. 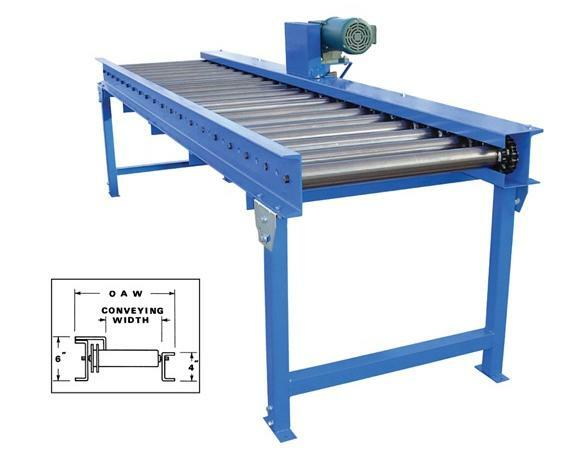 This progressive chain driven live roller conveyor is used for heavy duty applications such as pallet moving and drum handling. 3/4 HP 220/3/60 motor with 4" and 6" structural channel construction. 2-1/2" - 11 gauge rollers with 6" roller centers. No. 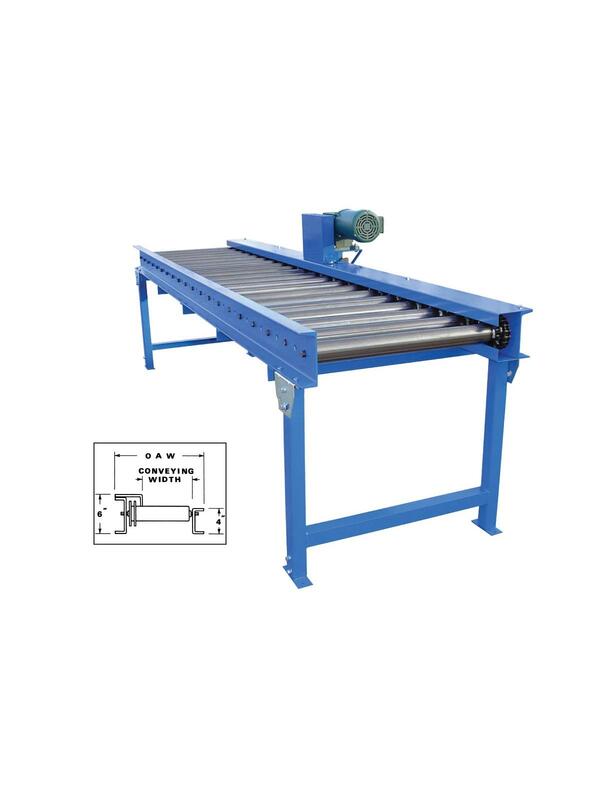 60 chain, roller-to-roller drive, 40 FPM. Adjustable supports included. 30" roller height. FOB Shipping Point. Call us to order Roller Conveyors longer than 5'. See chart for max. length and cost per additional foot.